Wouldn’t it be a great if we could watch our favourite movie with family at home? Of course Yes, not only us but everyone would love to do that. In this post, we are going to discuss some home theater projectors for smart home. Now, a question may strike in your mind, what is smart home? How to make your smart home? There is nothing to do special in making your own home, a smart home. Smart home means your home is equipped with advanced technology that gives comfort zone to you and your family. Projectors are also part of a smart home and we are going to discuss home theater projectors for smart home. From last few years, technology has grown up so vast that projectors are coming with 3D compatibilities. You can play 3D games by connecting it with your mobile phones or laptops. Wireless connection could be setup using bluetooth. LG PH450UG ultra short throw projector has come up with HD resolution along with LED lamp life of 30,000 hours. To go with this LG projector model is certainly a good choice, if you are not willing to invest more. Its screen size can be adjust upto 80 inches without pixelating and also, gives high sound quality. This lightweight product is easily adjustable to your living room or some other place. Most of us, buy product by reading reviews for quality, rather than reading its features. So if you check LG PH450UG reviews, it has 4 star rating and good reviews from users. It provides latest features at low rates. Now, we have another LG home projector PF1000UW, which is also affordable as per your budget. If the above discussed projector and this model both have affordable price tag, why we prefer this one? Its excellent features are the answer of your question. It has a smart look and a 100 inch full HD screen. It is compatible with your smart LG TV, Android/IOS device via wireless connection of bluetooth. It is slightly heavier in weight and have 30,000 hours lamp life. It gives brightness of 1000 lumens and contrast ratio of 150,000:1. If your budget allows and you want good quality display, then without thinking too much, just go for it. This straightforward and portable device Optoma HD25-LV-WHD is available for $805.85. At this price, it provides you a display screen of 50”- 300” with HD quality. It does not offers ultra short throw facility but gives 3D capability. It is perfect for game lovers, they can play games by connecting it with their mobile phones. It has a contrast ratio of 20,000:1 and 3200 lumens brightness. When you have a first look onto this device, you will see how small is this in size. Its major advantage is, you can carry it easily. This Optoma device can be set up anywhere at your home and we are pretty sure that it will not occupy more space. The BenQ W1070 has all the advance features of Optoma and Epson at a starting price of $1500. 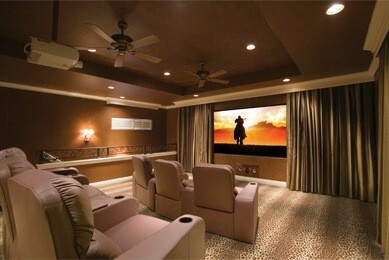 The 200” screen display is enough to enjoy movie or other videos in the comfort of your living room. You do not need to go out for movie as it gives a contrast ratio of 20,000:1 and a 2000 lumens brightness, which will nearly give you replicate the feeling of cinema. Also, 3D support is available for games and 3D movies. It has a long lamp life and inbuilt speakers of high quality. Lamp life is critical and they get dimmed after exceeding their lamp life but it never burns-out. It is capable of managing color performance for day and night modes. It is costlier than all above mentioned home projectors but also have high quality features. If your budget is good to go then, as a user’s point of view, we suggest you to go with this device. The optoma HD 37 is the next option for you. It is for the entertainment purpose and you can use it at your home. It also gives a HD image quality, which is good enough as a home theaters. It confer 2D and 3D facility with the brightness rating of 2600 lumens. It has only one drawback, sometimes it shows rainbow artifacts but still it is good to select as a ultra short throw home theaters. After reading our post regarding home theater projectors for smart home, we hope that you now get an idea which one is useful for you. We have mentioned selected projectors, which are providing all the features that highly paid projectors included. Make sure, the projector you are going to buy must fulfil your requirements. Don’t rush behind the brand tag always, just keep your needs in front of your eyes before going to purchase it.